What is a Rilya Alert? In a continuing effort to bring attention to the plight of missing African-American children throughout the United States, Peas In Their Pods founder Janice Lowery, president Gaetane Borders, and the Peas In Their Pods volunteers continue to work tirelessly by utilizing their organization’s missing child alert system called The Rilya Alert. Peas In Their Pods was formed in March of 2007 to bring awareness about the epidemic rate at which African American children are abducted or endangered. 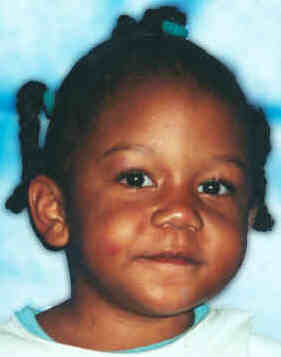 The RILYA Alert is in honor of Rilya Wilson, a 4 year old girl in the Florida foster care system who went missing for over eight months before anyone realized she was gone. This alert system was created to help reduce the response time in which the crucial information is shared with the public so that the tragedy of this young child does not occur again. Rilya is an innocent young girl who is missing, you would never have heard of her if she hadn’t been a child of the state. Rilya’s media coverage was based on DCF. NOT based on a beautiful child being missing. The parent must have contacted law enforcement to report child missing. A RILYA Alert may also be issued if the child is classified as a runaway by the police. If the parent has reported missing child and has convincing evidence that child does not have a history of running away, an alert will be initiated within the 1st hour. We recognize that at times, not all information is readily available (ie. license plate numbers, name of abductor, or witness to abduction. In such cases, the available information will be reviewed and verified prior to RILYA Alert. The law-enforcement agency believes the child is in imminent danger of serious bodily injury or death. All children of color meeting the criteria for the Amber Alert will also receive the RILYA Alert If these criteria are met, alert information is assembled for public distribution. This information may include descriptions and pictures of the missing child, the suspected abductor, and a suspected vehicle along with any other information available and valuable to identifying the child and suspect. *The staff at Peas In Their Pods respectfully requests that once a child is found that any organization posting information remove their pictures from their sites. Next PostHow Do You Define Success?